to the Nintendo Game Boy! 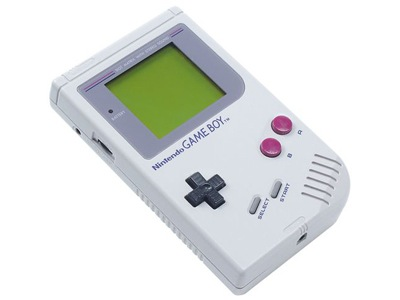 25 years ago today, Nintendo's successful handheld console the 'Game Boy' was released in Europe. The first in the Game Boy line, it was created by Gunpei Yokoi and the staff behind the Game & Watch series. Although redesigned versions were released in 1996 (Game Boy Pocket) and 1998 (Game Boy Light), there is something so memorable about the original. 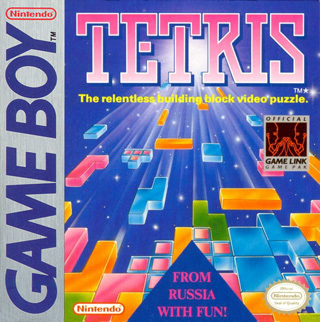 Originally bundled with puzzle game Tetris upon release (smart move, Nintendo), the Game Boy went on to become one of the highest selling handheld consoles of all time, selling an impressive 118.69 million units worldwide along with its successor, the Game Boy Colour. For me, the Game Boy holds a lot of special memories. It was the first time I had been introduced to gaming after my parents picked one up on release. It can also be credited to getting me into the Legend of Zelda series after first watching my dad play through Link's Awakening (I completed it later on by myself when I was a little older). Join me as I share a few of my favourite games that were released on the Game Boy. Donkey Kong will forever be remembered as an influential game. The 1981 arcade classic is credited with Mario's first appearance (as 'Jumpman'), as well as introducing the world to the now popular Nintendo ape. Unless you've been living under a rock, you will most likely be familiar with the gaming of Donkey Kong. Playing as the newly introduced Mario, you're tasked with saving the damsel in distress, the red dressed Pauline, from the barrel throwing Donkey Kong. The Game Boy version adopted the familiar gameplay arcade lovers embraced, porting it over to the portable market. However, not only did it include the arcade's four stages, but an additional 97 more stages across nine worlds with a battle against a giant Donkey Kong. Dr. Mario meets Tetris in this 1990 puzzle game from Nintendo. 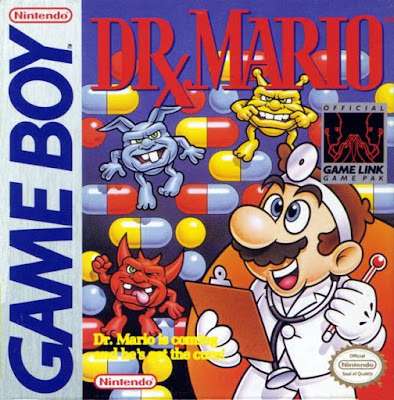 In this, the multi-tasking Mario assumes the role of doctor who is tasked with eradicating pesky viruses by filling bottles with pills. Game over occurs if the capsules fill above the top line. Tetris' line-clearing gameplay is heavily borrowed from here, but add in the a fact you're playing as Mario, and this makes it a pretty fun choice of puzzle game. Puzzle games on this list, so I definitely had to give Lemmings a mention. A favourite of mine in the Game Boy days, the game's objective is to guide a group of lemmings through a number of obstacles to a designated exit. Each level will require the player to save a target number of lemmings to win, which of course gets higher as the difficulty increases. Lemmings are assigned one of eight different skills that allow each of them to alter the landscape, affect the behaviour of other lemmings or clear obstacles in order to create a safe passage to the exit. Compared to games nowadays the pacing may seem a little slow, but in Lemmings, it works. 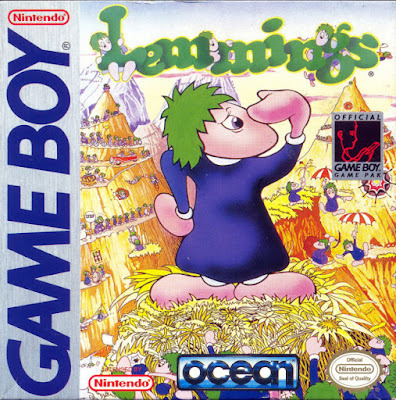 Also, I felt like such a bad person when Lemming's died as a consequence of a slip-up on my part. Sorry little guys! I've mentioned Link's Awakening countless times on 8-Bit Girl. 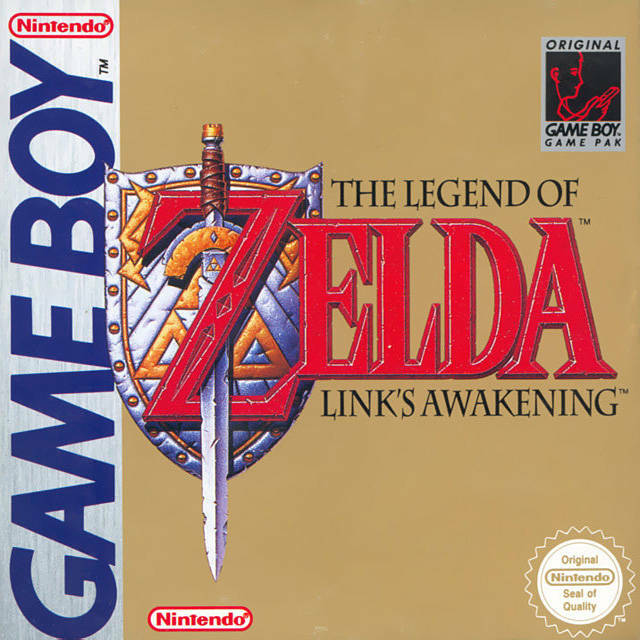 One of my favourite games of all time, Link's Awakening was the first handheld game for The Legend of Zelda. Link's Awakening began as a port of Super Nintendo's The Legend of Zelda: A Link to the Past, developed after-hours by a team of Nintendo staff. However, under the direction of Takashi Tezuka, with a story developed by Yoshiaki Koizumi and Kensuke Tanabe, it grew into an original game. It marked a slight deviation from the series' typical formula. For one, Princess Zelda wasn't present, and the familiar setting of Hyrule was replaced with the dream world of Koholint Island, a place guarded by the Wind Fish. In order to return home, Link must first gather the correct instruments required to awaken the Wind Fish. It's a fantastic hand held adventure that I recommend anyone playing. Kirby's Dream Land is the first game in the Kirby series as well as the début of Kirby himself. Kirby's Dream Land was designed to be a simple game, with optional challenges such as an unlockable hard mode for more experienced gamers. Whilst Kirby's most familiar "copying" ability does not appear in his first adventure, te game does cement his basic moves and the now familiar game play. The first title in the series, Mortal Kombat introduced many familiar aspects to the series, including the five-button control system and the games now expected gory finishing moves, a source of controversy at the time. 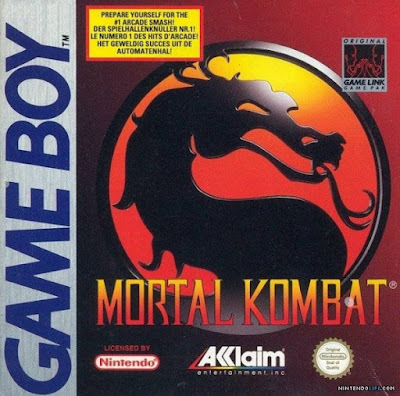 Arguably one of the most popular fighting game series, I'm sure many fans look back fondly at its humble beginnings on the Game Boy. Since it's Game Boy days, the Pokemon series has come a long way, spawning a long video game line, trading card series, a TV show, films and comic books. 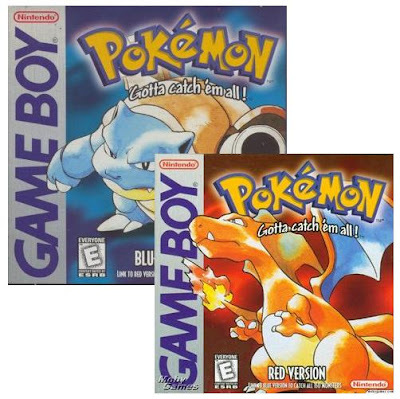 Who would have thought that Pokemon Red and Blue would have spawned such a successful franchise? Released in 1996 first in Japan, Pokemon Red and Blue introduced gamers to this RPG, with the aim to catch Pokemon, boost their stats and level up whilst taking on challengers. Still a fan favourite, Red and Blue created an impressive beginning for this now multi-million franchise. 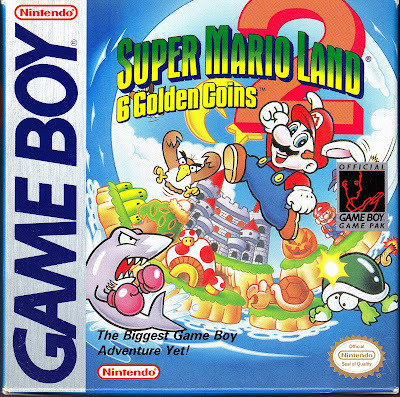 It may be Super Mario Land's 25th anniversary today (it was a Game Boy launch title), but Super Mario Land 2 makes my list. It improved on the first game, offering better level designs and enemies. 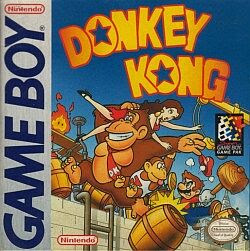 For instance, the level designs were much more impressive, with a greater range of both familiar and brand new enemies and fun scrolling game play, making this one of the best platform titles available on the Game Boy. The Game Boy often cannot be mentioned without at least a passing nod to Tetris. This popular building block puzzle game was one of the reasons that the handheld sold so well in the first place. Incredibly addictive yet stressful in equal measures, the game has been re-released several times over on multiple platforms since, still retaining its popularity from its initial release in 1989/1990. Also, it has one of the most memorable theme tunes in gaming. Who doesn't know the Tetris song? 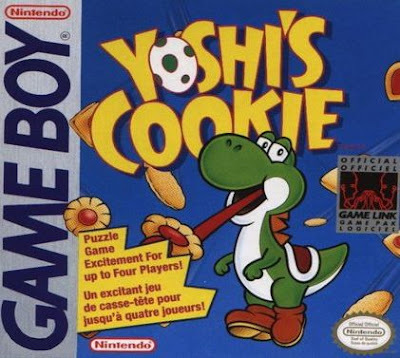 Released in 1993 in Europe, Yoshi's Cookie is a tile-matching game where the player must rotate the cookies on screen to create corresponding rows. As the timer ticks on and the difficulty increases, more lines are added onto the screen, making it a pretty tricky game to clear at times. Yoshi's Cookie is both addictive and pretty cute, with a catchy soundtrack. Plus as a kid, I reaaaally wanted to eat those cookies! Great list, also never played Lemmings or Mortal Kombat on the Gameboy, might have to see if I can source them out and give 'em a go. A few of my favourites below, although playing them today gives me eye strain, even with the light magnifier, how did we manage it back in the day?